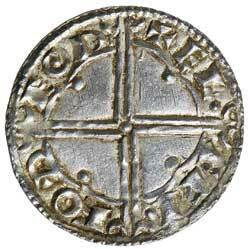 CNUT, (1016-1035), silver penny, quatrefoil type, Thetford Mint, (1017-1023), (0.98 g), Aelfwig moneyer, (S.1157, N 781). Slightly wavy flan, otherwise toned, good very fine. 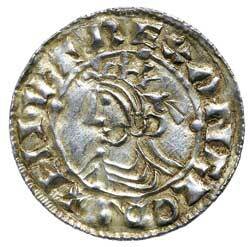 Ex Matthew Rich Collection and previously CNG Auction 60, lot 2213. From the William J. Conte Collection.